Since I no longer have the fixed gear as a backup "braking" system I had to install a rear brake. 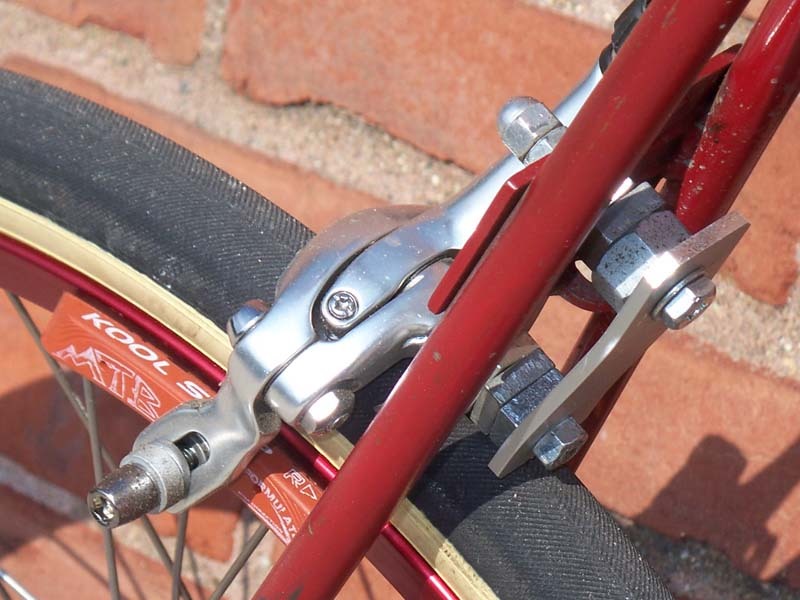 I did one of my home made "drop bolts" with a Shimano dual-pivot caliper, resulting in an extremely powerful brake. Kool-Stop salmon brake shoes give super brake performance.